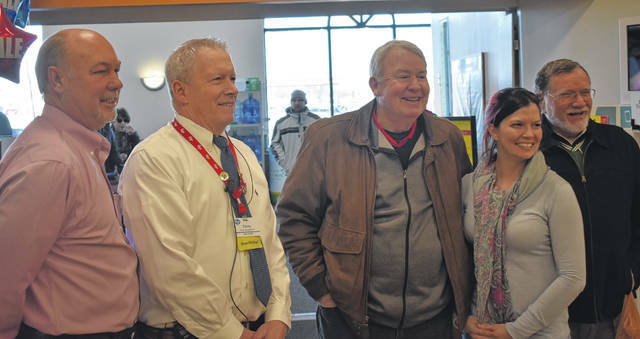 From left, Kroger District Manager Clint Rose, Store Manager Terry Singleton, Wilmington Council President Mark McKay, City Administrator Marian Miller and former Mayor Randy Riley check at the opening of the new additions to the Wilmington Kroger on Friday. 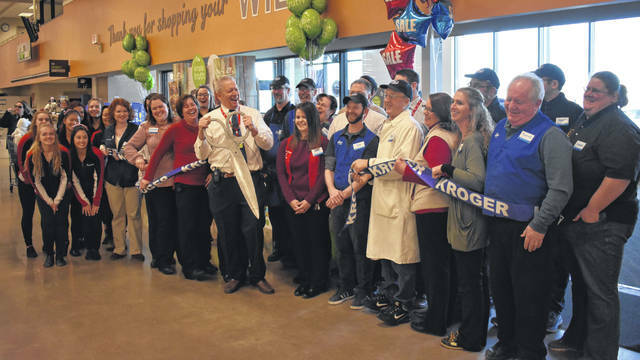 Kroger employees, management, and the Clinton-Massie Falconettes dance team get ready to cut the ribbon of the new additions at Wilmington’s Kroger on Friday. 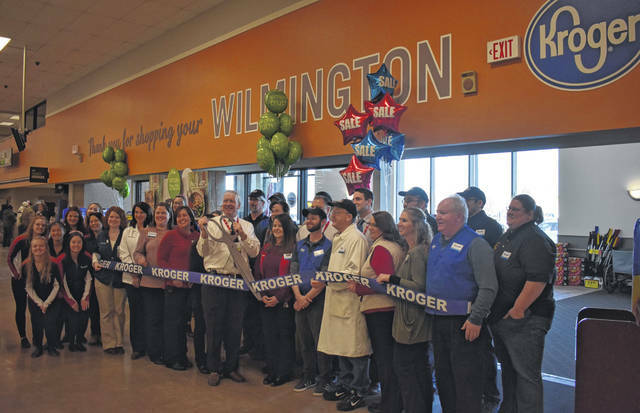 Wilmington Kroger Manager Terry Singleton cuts the ceremonial ribbon surrounded by store employees and management welcoming the new additions the Wilmington Kroger on Friday. New features include a Little Clinic, Starbucks, a sushi department, a chicken department that provides chicken meals with new and improved fryers, new floors, and new refrigerated cases for several departments. They’ve also updated the store’s decor, moved the salad bar to the deli, and totally remodeled the produce, deli and bakery sections.